The Children’s Place presents this trendy tank top which will make your daughter look adorable. It has been made of a premium quality fabric that will keep her at ease throughout the day, making it an ideal choice for daily use. Furthermore, it comes with a cute print, which accentuates its look. 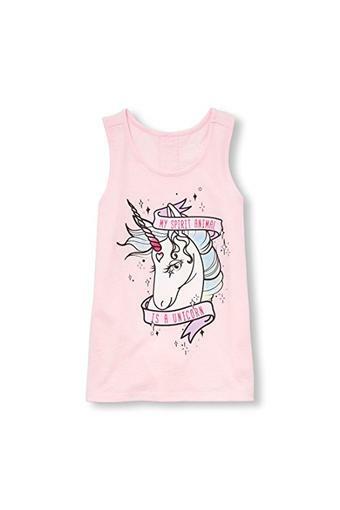 A perfect pick for your daughter to wear on any casual occasion, this tank top features a printed pattern. She can team it with a pair of jeans and ballerinas to look cute.